Perhaps one of your loved ones got a new rifle, handgun or shotgun from Santa, probably because they’d expressed an interest in hunting. The trick now is to nurture that interest without starving or overfeeding it. My son-in-law began hinting at an interest in hunting several years ago. When this became consistent, if not persistent, we tested it with a few casual shooting lessons. Test passed. Brandon enjoyed shooting, wanted more of it and got more of it from an equally enthusiastic father-in-law. I had plenty of firearms, ammunition and experience. Why not share with a new shooter? There are many ways to “start” new hunters. Here are a few suggestions for kindling the fire without smothering it. Start small. BB guns, pellet guns and .22 rimfires are prefect. Little or no noise or recoil lets new shooters build proper form and technique without flinching. Get that hunter safety card and obey all local gun and hunting laws. It’s probably legal to take an unlicensed shooter to the target range, but virtually every State requires all hunters to pass a hunter safety course before actually hunting. Research your state’s gun, shooting and hunting laws before heading afield. Hunt something abundant, small and easy — like rabbits or squirrels. These abundant small animals increase odds for success. No pressure. Insist on safety and proper gun handling at all times, but let the new shooter/hunter determine when it’s time to quit. You might want to push that extra mile, endure another hour of cold or otherwise fight the elements to extend your hunt, but if your new hunter isn’t having fun, don’t prolong the discomfort. And don’t chastise a new hunter for missing or failing to take a shot. The focus is on fun. Let them feel their way at their speed. Answer questions honestly, but admit when you don’t know an answer. Passing on old-shooters’ myths can poison the well for years and prevent self-discovery. 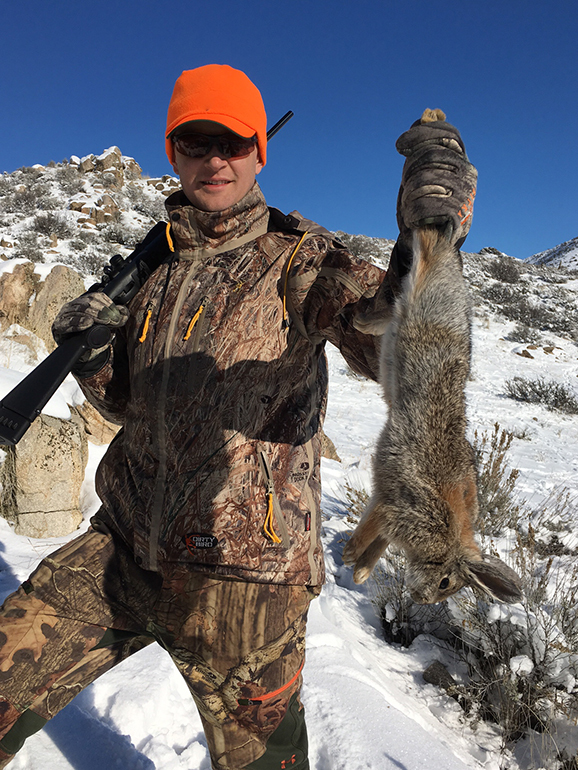 Jackrabbit meat is not impossibly tough and stringy. Pronghorn does not taste like sage and the 7mm Rem. Mag. does not shoot dead flat to 500 yards. Help your new hunter research the correct answers. Leave ‘em wanting more. Like a good speaker or stand-up comic, quit on a high note and leave them wanting more. Ron Spomer has been hunting, shooting, and writing about it since 1976. His articles and photos have been published widely in magazines, newspapers, books, and websites. Ron has been the long-standing host of Winchester World of Whitetail. He’s roamed round the world in pursuit of big game and small game species alike. If you need to know anything and everything about hunting and ballistics, Ron is your man.